So far I have examined the first four parts of the “Lederer Files” interviews conducted by PokerNews.com last week. In this article, the penultimate in the series, I will take a look at the final three episodes of the Lederer Files, explaining the important details that came to light. In the final installment of this series (which you can find here) I’ll go over the side-stories that have come about because of the Lederer files and what the fallout has been from the interview. Part 5 picked-up where Part 4 left off, with Full Tilt Poker in the throes of Black Friday and looking for investors to bail them out. •	Howard Lederer suggests that the E-Mail where Ray Bitar states the company couldn’t handle a $5 million run on the bank was from June and not in the immediate aftermath of Black Friday. •	PokerStars may have made an offer to purchase Full Tilt Poker early on in the days following Black Friday (more on this was discussed in Part 7). •	According to Howard, early strategic investors were “handcuffed” to the company and couldn’t leave without giving up your shares. Apparently Phil Ivey wanted to be released from Full Tilt’s “Golden Handcuffs” to represent another site over a year before Black Friday and asked again in the aftermath of Black Friday. •	Phil Ivey’s lawsuit was “outrageous” in Lederer’s eyes. •	In a bit of hearsay, Lederer says that Jack Binion told Doyle Brunson that Phil Ivey’s lawsuit caused him to walk away from a potential deal. •	Ray Bitar was receiving a salary post-Black Friday. •	Phil Gordon and his attorney felt the Board of Directors was aware of the shortfall, and Lederer refutes this claim. •	Eventually a vote was made, led by Phil Ivey, Phil Gordon, and Andy Bloch, to remove the current board of directors and Ray Bitar, but before this occurred, Andy Bloch got cold feet and pulled out leaving the current Board of Directors in limbo, and eventually the entire thing fell through. Part 6 dealt with outstanding loans to Team Full Tilt members and delved a little bit into the failed Groupe Bernard Tapie deal. •	Erick Lindgren apparently took a $2 million loan from Full Tilt Poker and somehow received $4 million! Lindgren never returned the extra $2 million according to Howard (or repaid the $2 million loan). •	Lederer claims to be the only person to have fully repaid his loans to Full Tilt Poker by May. •	Gus Hansen called out Howard Lederer for subtracting his player balance from the amount he paid back, because this was paying yourself your player balance before the players received theirs. 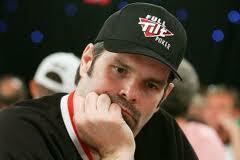 •	Chris Ferguson sent Full Tilt Poker $14 million after Black Friday to keep the company going and try to bail it out. •	After agreeing to a deal with the DOJ Groupe Bernard Tapie then did “their due diligence” and looked into the specifics of Full Tilt Poker. According to Lederer, Full Tilt Poker balked at the deal in January because GBT was not going to make the FTP players whole right away. •	Consent for the PokerStars deal wasn’t needed because the deal was “a forfeiture” and not technically a sale. So Shareholders only needed to sign a document instead of holding a full majority of vote. •	Lederer claims John Juanda was the second largest shareholder in the company. •	Lederer says that several shareholders refused to sign the PokerStars deal, including Juanda, Phil Gordon, and Perry Friedman. Part 7 (the final part) focuses on the deal with PokerStars. There was little revealed that wasn’t already known in this part of the interview. •	Lederer did ask Tom Dwan to give Full Tilt Poker the money he promised to the poker community if the Stars deal didn’t get finished by July, since the company could not continue on after July. •	The cost of the DOJ judgment was a major sticking point for the deal all along. Once the uncertainty of what the DOJ expected from Full Tilt poker and PokerStars was eliminated (with PokerStars cutting a deal with the DOJ) the deal was finally able to be completed. •	Howard claims the DOJ threatened to end talks if information kept leaking out to poker media outlets. •	Lederer is hopeful he can rejoin the poker community at some point.